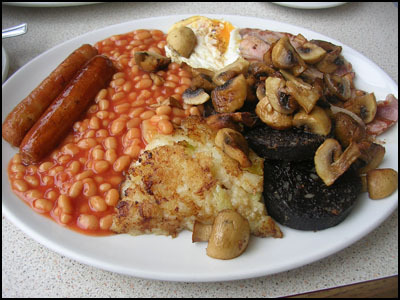 Where to eat the english breakfast in London? Everywhere for quite cheap This one was £4,30. £3 up north, tea and toast included, not that I could eat all that these days - I’d probably order one if out with my son and split it with him. Do you really ate that much every morning? Poor cholesterol!! All that grease sitting heavy in the stomach. UGH. A good option for someone wanting to get through til evening with maybe some fruit for lunch - many a traveller has filled up on a full english brekkie at a B & B where it’s included! So, what exactly is bubble, please? My Mama and I are curious. Thanks.